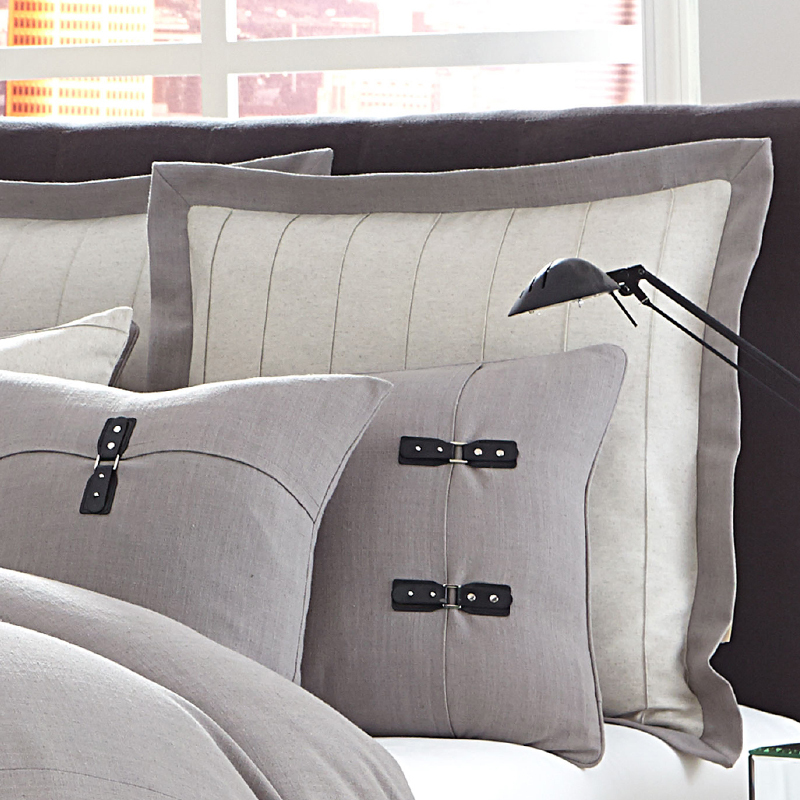 Elegance isn't only for a formal affair. 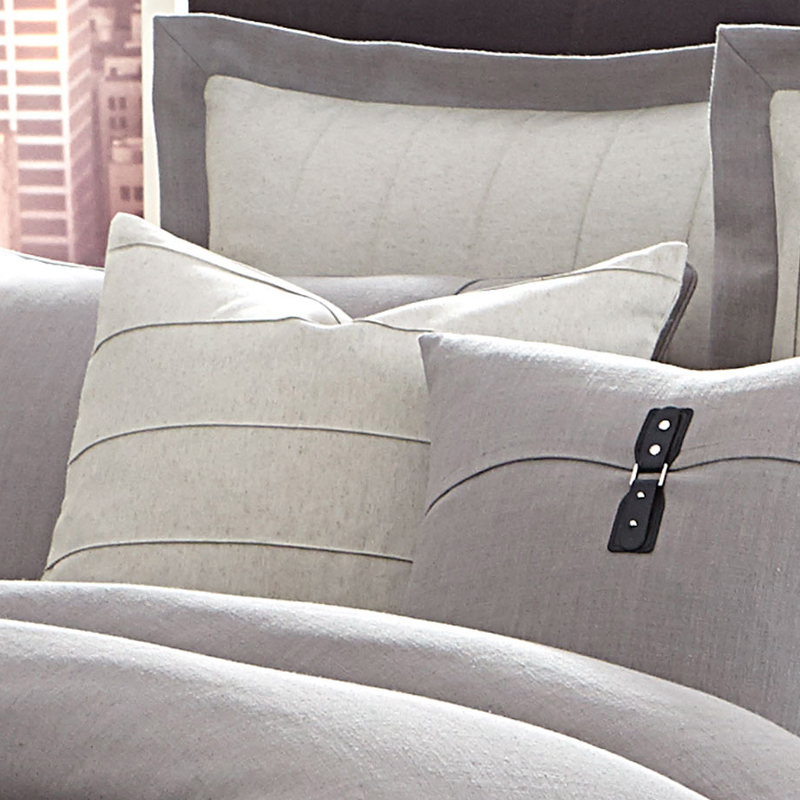 The Fusion Duvet Set by Michael Amini provides a casual elegance yet the crisp tailoring, the pinstripe design of the euro shams and the faux leather buckle details give it a formality of your finest suit. 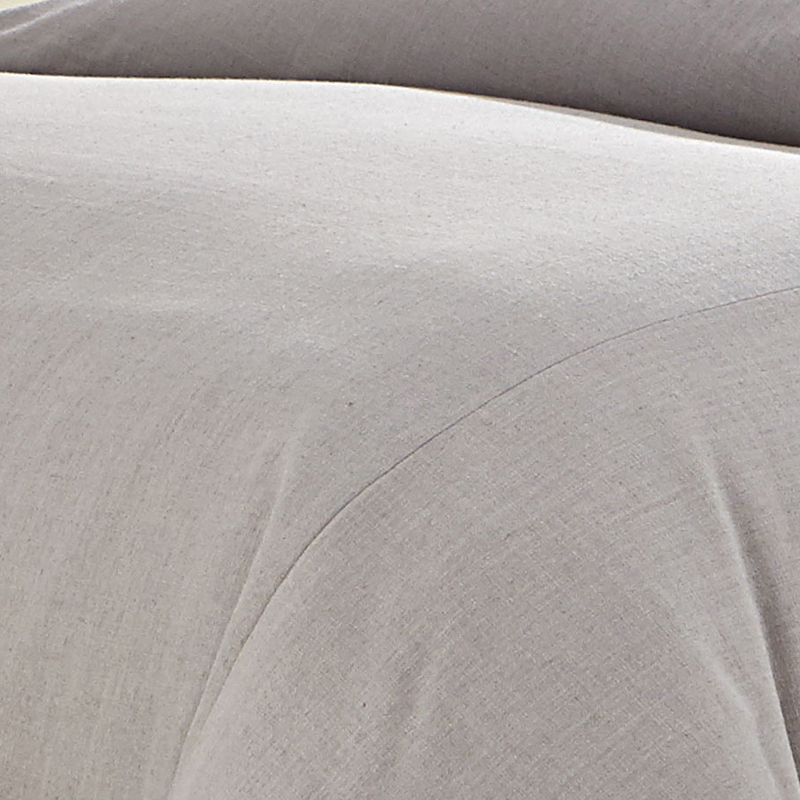 The medium gray fabric offers a linen texture with a slight shimmer in the fabric blend and it coordinates beautifully with the soft gray accent color. 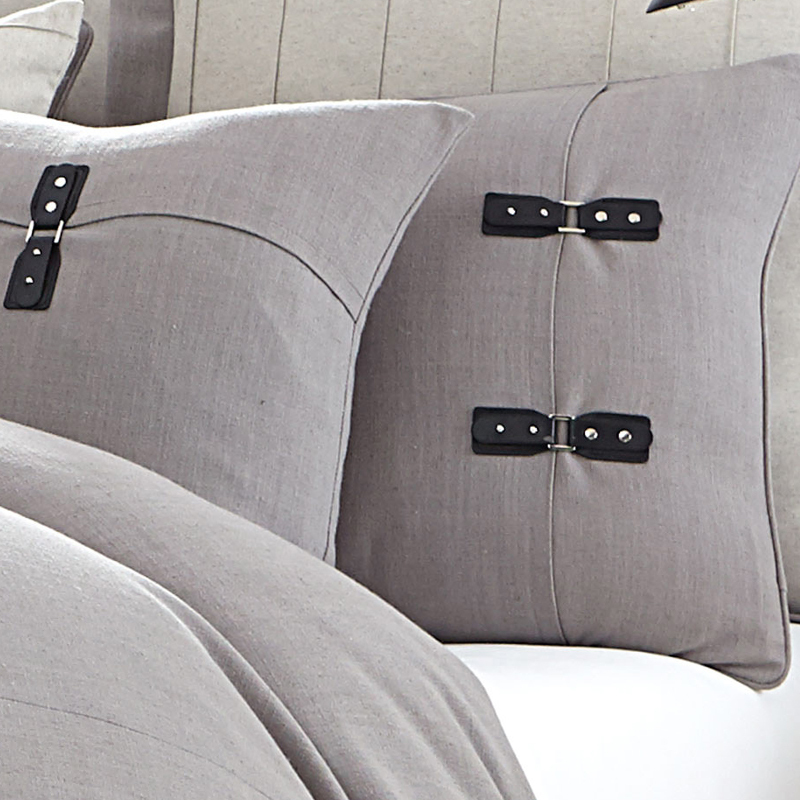 The euro shams and accent pillow are crisp and refined with the pin tuck pleats that give a pinstripe appearance. 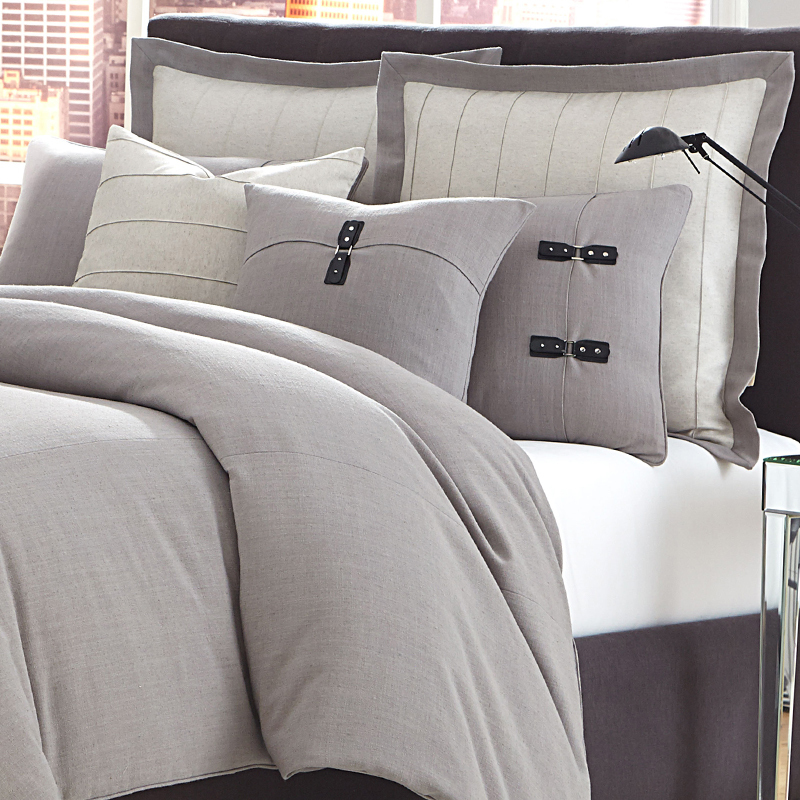 The Fusion duvet set is rich in designer details and modern flair with an overall simple and clean style. 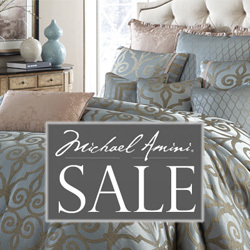 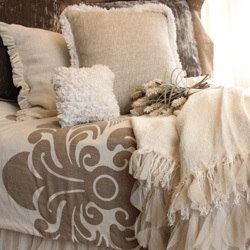 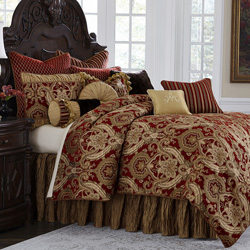 • The Michael Amini Fusion bedding collection is considered a special order item.